Our Standard Scrambling Pack contains all the hardware you need to start scrambling. Combined with good hill skills, a harness and a helmet, it allows you to tackle steeper mountain terrain. Ideal for hill walkers looking for the next challenge, and indoor climbers taking their first steps outside. A set of Wallnuts provides lightweight and versatile protection for when you need to rope up, build a belay, or climb a pitch. Racked on our Aero straight gate biner. This belay set combines our Mantis belay device with the Rhino carabiner. 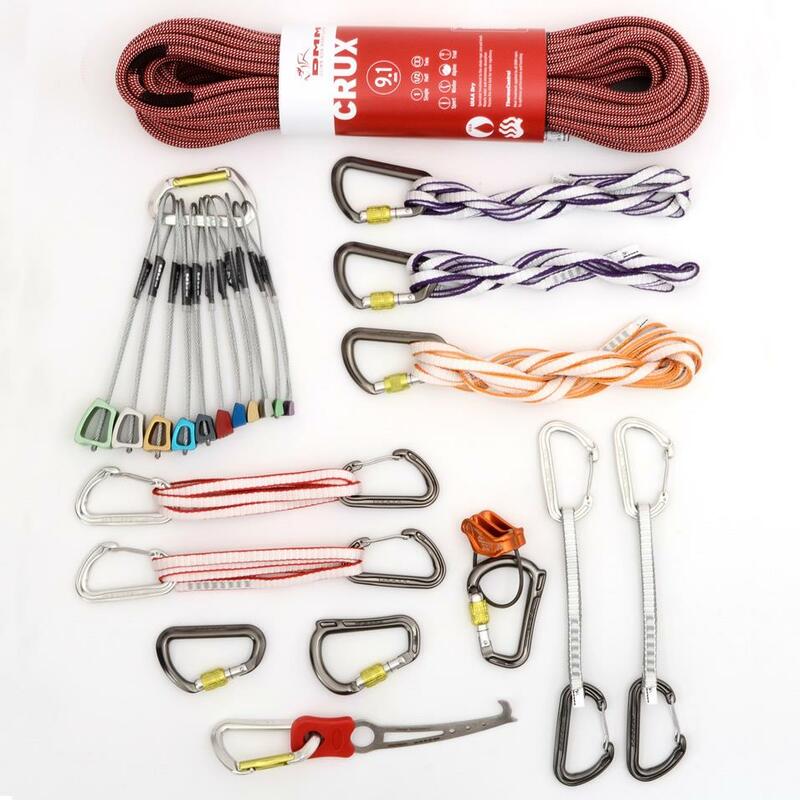 This gives you a high performance, lightweight device that’ll give confidence when belaying and abseiling, combined with a carabiner that encourages optimal loading and gives smooth rope control. An 18cm quickdraw is a good option for parts of the route that follow a straighter line. The Nutbuster is an invaluable tool for retrieving stubborn placements made by the leader, or for deconstructing belays when following them up a pitch. Comes on an Aero straight gate for easy racking. An extra Rhino carabiner, useful for Italian hitch, and a spare Aero that can be used as a secure connection point in belays or on runners.